Of all the important features to consider when choosing the right cochlear implant system for you or your child, nothing matters more than the technology you’ll rely on to help you hear your world. AB offers the most cutting-edge, sophisticated sound processing for high-performance hearing. This upgradeable technology is designed with one unwavering goal in mind: to help you or your child hear your best in virtually any environment, from a quiet office cubicle to a loud classroom. Performance matters. That’s why all of AB’s exclusive, sophisticated sound-processing technologies are designed to help you or your child hear your world in the greatest possible detail. The more sound strategies offered, the more options you have for hearing. Only AB provides seven sound coding strategies to help you hear your best. AB’s state-of-the-art cochlear implant technology has been developed to help your child or you hear all of your world—from the quietest listening environment to the most challenging noisy setting. The Naída CI Q Series sound processors combine AB innovations with technology from Phonak, the world leader in hearing aid solutions, to help you hear your best wherever you go. 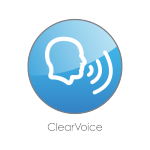 Naída CI Q Series sound processors provide exclusive Phonak Binaural VoiceStream Technology™ to help recipients hear speech better in noise and on the telephone, and take the strain out of conversations. You also have access to Phonak accessories that allow you to wirelessly stream music, phone calls, TV shows, and endless other media to one or two Naída CI processors or a processor and a compatible Phonak hearing aid at the same time. This group of AB and Phonak automatic features in the Naída CI Q90 and Q70 sound processors provides better speech understanding everywhere, greater music enjoyment, more comfort in the presence of wind and sudden noises, and effortless conversation in challenging environments. 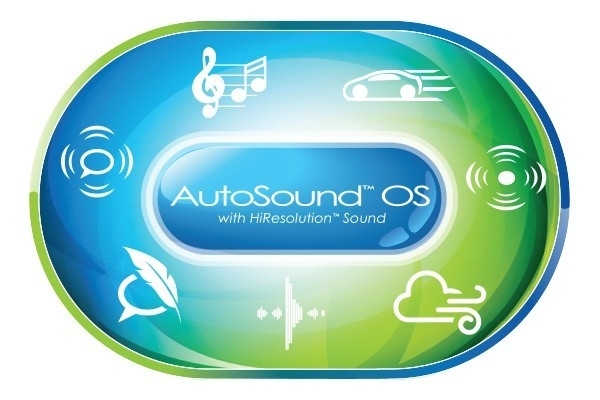 AutoSound technology in the Naída CI Q30 sound processor adapts dynamically to every environment, automatically adjusting volume levels to optimize hearing, so you can concentrate on listening instead of making adjustments to your sound processor. 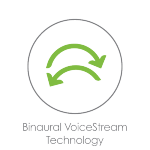 Speech understanding in noise—this dual-microphone technology pioneered by Phonak is designed to focus on sound from a speaker located in front of the listener for improved speech understanding in noisy settings. 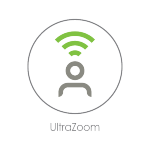 Studies have shown up to 6.5 dB SNR benefit when the Phonak UltraZoom feature is used together with ClearVoice by unilateral recipients. Automatically analyzes and adapts to every listening situation you or your child encounters, then separates speech from distracting noise for improved understanding and comfortable conversing. 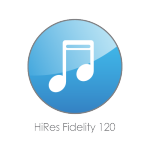 Built on HiRes Fidelity 120™* technology, this all-new strategy is designed for optimized performance with better battery life. Designed to deliver five times more spectral resolution (120 spectral bands) than competing processing strategies, so you hear more of the detail in speech, music, and life. Designed to enable you or your child to better hear soft speech, speech in noise, and the details of music. 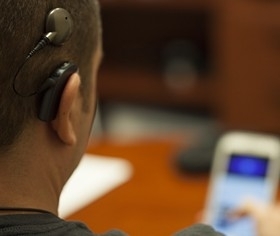 When you choose a cochlear implant system from AB, you benefit from superior sound processing technology now, and external upgradeability in the future. For over 20 years AB has consistently made the industry’s leading technological hearing advancements, and we will continue to do so in the future. 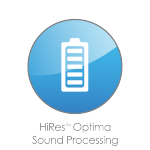 As we advance the technology, your hearing advances as well – without the need for surgery. Count on AB’s continual innovations and improvements to improve your hearing experience each and every step of your journey. 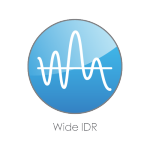 Input Dynamic Range (IDR) is the range of the softest to loudest sounds that are detected by a sound processor. The wider the range, the more sounds you hear. AB’s AutoSound™ technology captures and delivers the widest range of sound of any cochlear implant system. With this wide range, you hear closest to the way normal-hearing people do, from a whisper to a shout. The high spectral resolution of the AB system helps you hear in real-world settings. 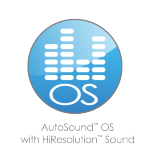 And with the automatic features of AB’s AutoSound™ OS technology, there’s no need to fumble with dials, switches, or remote controls every time you move from quiet to loud listening environments. School-age kids naturally have a hard enough time focusing in a classroom without the additional distraction of needing to make continual adjustments to their sound processor. Your child’s teachers don’t need to worry that important lessons aren’t being heard when your child is hearing with AutoSound. Following a conversation in a noisy setting is made easier with the unique combination of AB and Phonak innovations in the Naída CI Q Series sound processors. Whether you’re in a meeting at the office or your child is listening to the teacher in a boisterous classroom, hearing speech is crucial to fully participate. 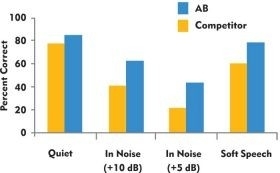 This independent study proves that AB recipients hear speech better in noisy situations and group gatherings.6 AB’s unique AutoSound™ technology automatically adapts to challenging listening environments so that you hear your best in every situation. Children begin learning to speak from the day they’re born. By age 3, they need to hear approximately 30,000 words a day to develop language skills necessary to succeed in school.7 For something as critical as the ability to hear, you don’t want to compromise performance. You want your child to have the most technologically advanced, best-performing cochlear implant available. 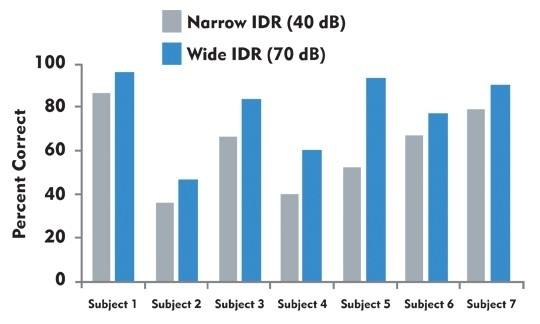 This study demonstrates that the wide Input Dynamic Range (IDR) in AB processors makes it easier to hear in the real world. AB recipients understand soft speech much better with a wide IDR than a narrow IDR. They’re also able to hear sounds that alert you – such as telephone rings, car horns, doorbells, and alarm clocks – much better with the the wide IDR.8 In the same study, AB recipients preferred a wide IDR over a narrow IDR for listening to music.8 The competition provides a narrower IDR than AB does. That means you can expect to hear “I love you, Mommy” sooner when you choose AB for your child instead of the competition. As your child grows with AB, they’ll have an opportunity to hear their best during those critical years of language development right alongside their normal-hearing classmates in a mainstream school setting. This important study proves that AB recipients have the opportunity to hear and enjoy music better than ever before.10,11 HiRes Fidelity 120™* sound processing is the only strategy that can implement simultaneous current steering to deliver the dimensions of music (loudness, pitch, timing) for a full musical experience. The AutoSound programmable wide Input Dynamic Range (IDR) and automatic volume control adjust automatically so that you don’t miss a note. And the naturally placed T-Mic™ microphone makes it effortless to use your MP3 player. This advanced technology only from AB works in concert so that you can hear your best. conditions. PLOS One, April 22, 2014. Spahr A, Dorman MF, Loiselle LH. 2007. Performance of Patients Using Different Cochlear Implant Systems: Effects of Input Dynamic Range. Ear and Hearing. 28:260-275. Hart B, Risley TR. (1995) Meaningful Differences in the Everyday Experience of Young American Children. Brooks Publishing Co, Inc. Baltimore, MD. Wolfe J, Mears A. Effect of Input Dynamic Range on Speech Recognition and Music Enjoyment. Poster presentation at the 10th International Conference on Cochlear Implants and Other Implantable Auditory Technologies, San Diego, CA, April 10-12, 2008. Bevilacqua et al. Auditory and Language Abilities in Children: Comparison of Two Different Cochlear Implant Systems. Poster Presentation at the 10th International Conference on Cochlear Implant and Other Implantable Auditory Technologies, San Diego, CA April 10-12, 2008.